As a breastfeeding mom I drink at least a gallon of water every day! I'm always thirsty! When we are out of the house we always have at least two reusable water bottles on us. We usually use stainless steel, but when I saw this one I was really intrigued. It's stylish, simple, it's bamboo on the outside. I love anything bamboo. Furniture, clothing, towels, bedding - it's an awesome material. The inside of the bottle is glass, which is perfect for water or anything else, even acidic drinks like OJ or Kombucha, and hot drinks as well (with the hot screw top). The bottle comes with three cap options, a leak proof screw lid, a flip top spout, and a hot top for hot drinks. The screw cap bottle is $20 and the latter two options are $25 each. We received one with the flip top spout and I love it. It's easy for my toddler to open it and drink out of it. It keeps drinks cool for a while, the bamboo acts as an insulator and the glass stays cool for a long time. It will not keep drinks as cold as an insulated bottle, but close enough. The design of the bamboo bottle is my favorite part, I love how it looks, it's different and stands apart! You will not mix it up with someone else's stainless bottle for sure. If you are a business owner, you can even have your business name engraved onto the bamboo sleeve to show off your branding! The only caveat about the bottle is that it is really heavy. On many occasions I have picked it up thinking it is full only to discover that it is empty, that's how heavy it is. I would love to see this reusable water bottle made with a stainless steel interior option as well. The bamboo would protect it from dents and it wouldn't be so heavy. Also, the flip top is so easy to open that sometimes it happens unintentionally when it is bumped inside our backpack, so it is good to keep it upright or to use the regular twist top instead. 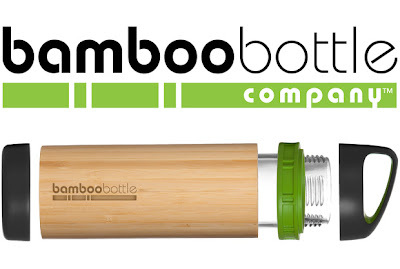 The Bamboo Bottle is great for everyday use. Because of the weight I would suggest you leave it at home for travel or backpacking. The versatility of holding cold or hot beverages alone is worth it's weight in gold! I highly recommend this bottle if you're looking for a stylish and functional reusable option. 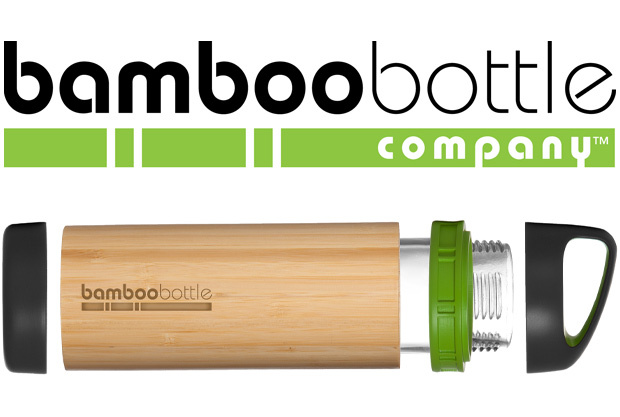 One of you will win a Bamboo Bottle! The glass interior won't leach chemicals into my drink, hot or cold!